There is an increased inability for young girls to join high school (Youth female illiteracy level stands at 52.2% - WORLD DATA ATLAS 2015) and for women to access decent jobs and economic growth. Girls also face early marriages and their education is largely neglected by the community. In Ariang village, South Sudan, hundreds of girls out of school and without educational opportunities. Others are unable to join high school after graduating primary due to lack of school fees and support from the community. Many families prefer boys' education over girls'. And when girls are denied an opportunity for education, chances of early marriage and childhood pregnancy increases. Other obstacles that girls face include Menstrual hygiene management kits, long commute to school and back, and a high drop out rate. Most women are illiterate in Ariang and most parts of the country. The high levels of illiteracy deny these women an opportunity to access professional jobs that have high rewards. Therefore, they usually stay at home to do farm work, animal grazing, and house chores. These kinds of works pose limited personal growth considering that farm and animal produce are usually subsistent. Our approach addresses these problems in a holistic way. Instead of just finding fees to send girls to school, we believe that developing the economy through women-led businesses strengthens families so that women and girls can champion the education and economic empowerment agenda. Our “year-for-women-and-girls” will unlock their full potential and enable them to live lives of purpose that future generations will emulate. We believe this will lead to stronger and healthier families and, therefore, a stronger world. 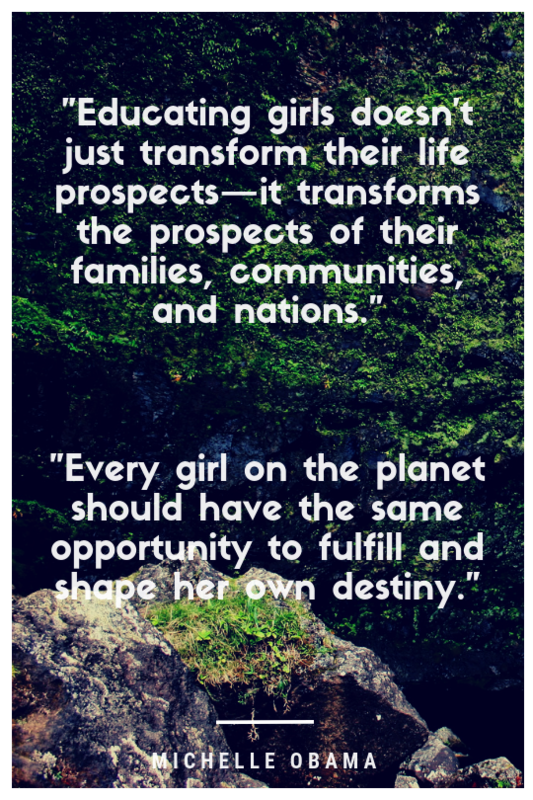 HOPE for Ariang envisions an equitable and empowered society where women and girls have opportunities to quality education, good health, and decent work - helping to drive the local economy forward. We are launching a “Strong Girls Club” that will develop girls leadership, social and career-readiness skills to be change-agents in their communities. In 2019, we will impact 12 girls from Ariang Primary and will grow that number to eventually impact 60 girls annually. Additionally, we plan to expand our current menstrual health management (MHM) programs to increase the number of Ariang Primary girls who receive MHM education and kits. We plan to distribute 50 menstrual health management kits in 2019. » 40 women running sustainable revenue-generating businesses! » 60 Ariang primary graduates sponsored to transition to high school! » 50 menstrual hygiene kits distributed! » Strong + confident girls at Ariang through mentorship and leadership programs! Our eighth-grade students and a few women from the community posing for a photo after receiving hygiene kits and training. They have since established on-going training sessions to address the challenges they face in life. A group of women has gathered to roof a Tukol (a house for animals). A section of our eighth-grade students queueing to receive school uniforms, shoes, and writing materials. Keeping girls in school reduces the chances of their families to marry them off at an early age. We are determined to promote their education and welfare by sponsoring them to join high school. Early marriage and childhood pregnancy are common in Ariang community. We have many incidences of schooling-mothers and married girls at Ariang school. Marriage life affect their chances of better performance but it does not prevent them from continuing school. In our Women and Girl’s Empowerment Program, we are equipping women and girls to lead the change in their communities. Women will receive business and financial literacy education to run small businesses which will strengthen their families. These women will be catalysts of change in the community and their example will impact their sisters and daughters. 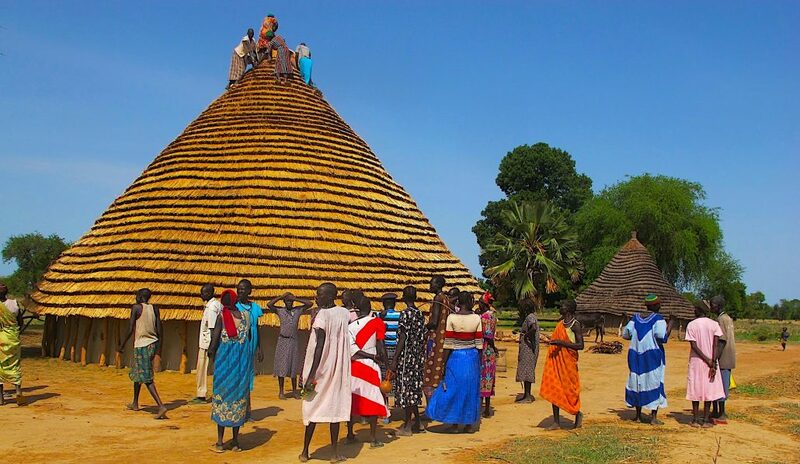 The GDP of South Sudan will go up as poverty levels go down. The gender disparity gap will reduce and create a room for gender equality as many people become educated. The health and well-being of the country will improve as many people will be able to pay for their health and health insurances. There will be reduced hunger as many people continue to grow their economic potential through businesses and upgrade their farming knowledge.